Cassie’s Cafe, a mainstay of Roxbury’s Main Street, has a new owner. Proprietor Cassie Grabowski, who opened the breakfast and lunch spot in 2008, announced this week that she has sold the business to James Chapman, the owner of The Rhinecliff, a hotel and restaurant in Rhinecliff. The catering arm of Chapman’s company, known as Rhinecliff Event Catering, does a lot of business in and around Delaware County, including weddings at the Roxbury Barn and meals for the Delaware & Ulster Railroad during the summer tourist season. Having a restaurant to anchor the catering business in the area just made sense, Chapman told Catskill Eats a few weeks ago, as the deal was being negotiated. 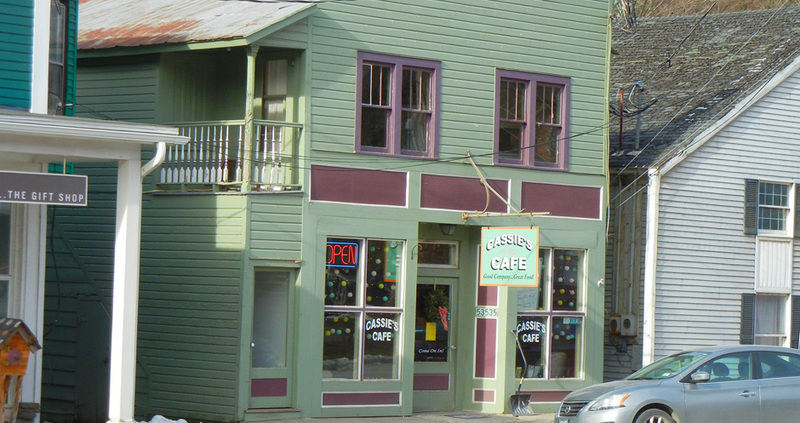 Cassie’s Cafe had been on the market for about three years. Prior to opening in Roxbury eight years ago, Grabowski ran a restaurant in Andes for 11 years. In a Facebook message to her supporters, Grabowski said she would welcome the change. She plans to continue working at the restaurant, but at reduced hours, she said. Chapman’s takeover at the end of April will make Cassie’s Cafe the second restaurant in downtown Roxbury to be operated by a proprietor whose main business is wedding and event catering. The team behind The Inn at West Settlement, a Roxbury venue, leased the former Queens Mountain Cafe this winter. It reopened several weeks ago as Calico Rebel Cafe with longtime local caterer Mary Ann Todd of Mary’s Cookin’ Again at the helm.